Discussion in 'Muppet Merchandise' started by AnakinGonzo, Mar 25, 2012. Wait.... So Disney actually does want to release those two seasons? Well the Muppet Studios dose yes. They just need the funds and the support to do it. If they are not going to sell then why she'll out the cash for the music rights and what not. DMHFan, Froggy Fool and Prof Bunsen like this. That was also 3 years ago and the Muppets had a TV show on the air. If they couldn't get them out then, I doubt they will get them out now. Short of a straight up Muppet Show reboot/revival I don't think we will see any major cash infused into the Muppets anytime soon. The Muppets don't seem to be making Disney any real money. The last movie they had barely paid off production costs and didn't come close to paying off all the promotion they did. Disney tends to push movies that will get them billions and the Muppets don't even bring in millions. The 2011 movie played on sympathies, but didn't hold the audience. Plus it seemed to benefit from the holiday season with a cast of characters closely associated with that season. I don't see Disney investing in anything major anytime soon, especially costly "DVD sets" which are a dying media anyway. Until the Muppets some how see a major come back that produces money nothing is going to happen. I fear this is why we haven't really heard anything about a show on the streaming service. No money from past productions to fund it and no plans for future productions that need to be pushed forward. I hope i get proved wrong. Blue Frackle, dwayne1115 and LittleJerry92 like this. Before the 2011 movie Disney had no clue what to do with the Muppets. We are now back to that point. I don't see Disney investing in anything major anytime soon, especially costly "DVD sets" which are a dying media anyway. I don't think DVD's are seriously dying out, but I get your point that the Muppets seem to be experiencing a(nother) fatigue when it comes to what Disney decides to do with them. They've received a few setbacks already, most recently Steve Whitmire's firing. MartyMuppets and DMHFan like this. Well there's news about a new Muppets series on the Disney streaming service. I wonder if it's still in development. Does he have the uncut versions of episodes 405 and 413 from somewhere like Disney Channel Australia, or are they the same edited versions from Nickelodeon and CTS? 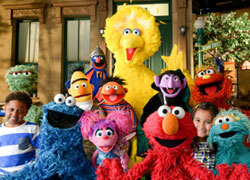 Unfortunately the last news release didn't even mention the Muppets. At the very least they should stream all of the Muppet content they have backlogged. 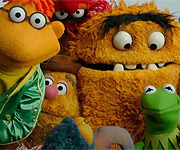 Including Muppets Tonight, The Jim Henson Hour, and all of The Muppet Show (1976-1981), including seasons 4 and 5, uncut or edited (for stuff that can't be cleared)? If so, that's a great idea. P.S. The Disney streaming service is gonna be called "Disney+". In regards to music licensing and legal fees, apparently there is a big difference between "broadcast rights" and "home video rights." That being said I was wondering...if Disney was to include TMS on its streaming service, would streaming services technically count as broadcast or home video rights-wise? DMHFan and Prof Bunsen like this. Broadcasting rights for the most part, because the TV syndicate utilizes all the copyrights on whatever content it wants to stream online. However, it also greatly depends on where you are. Broadcasting rights have their own regulations here in the U.S. compared to, say, BBC. I don't think anyone is kidding when they say the twelfth of never. I suspect the problem was that the previous sets never sold as well as Buena Vista thought they might. People remember the Muppet Show being that series where famous guest stars played second fiddle to these bizarre puppets. They also remember the outlandish backstage plots - Glenda Jackson as a pirate, Dance Marathon, Brooke Shields as Alice in Wonderland etc. However, only those who are really familiar with the show knew what to expect with seasons one and two. Joe Public, on the other hand, didn't and was confused as to what they were seeing. It happens with other archive TV shows on DVD and it comes about as a result of poor marketing from the distributor. Could the creator of this message explain the part of it I had embolden? We could get them this fall. That's what happened with DuckTales (1987). Volume 3 was released on November 13, 2007. Then, a 10-11 year hiatus happened. Then, after waiting, Volume 4 was finally released on September 11, 2018! Maybe the same could go for The Muppet Show as well. Froggy Fool, gavry3 and Prof Bunsen like this.